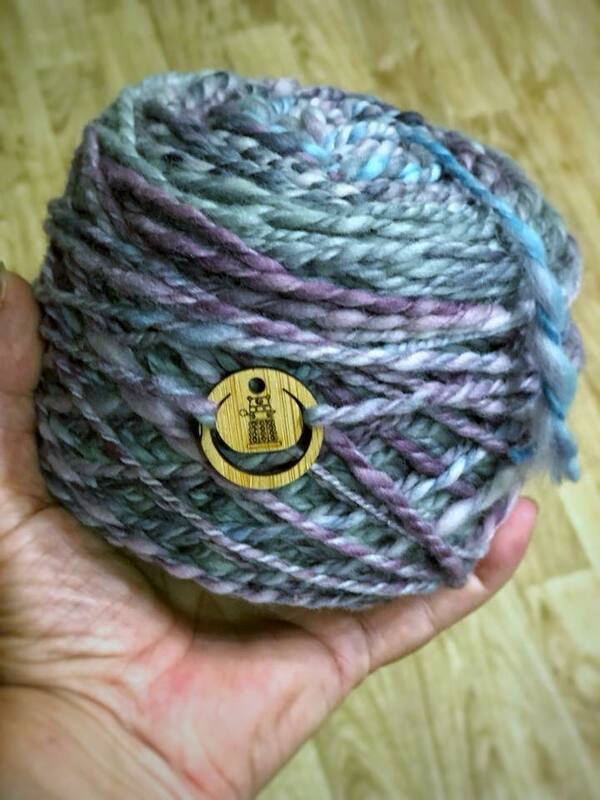 Home » Featured » Yarn Buckles: Cute AND Useful! Something new from WoolWench land 🙂 Yarn Buckles! 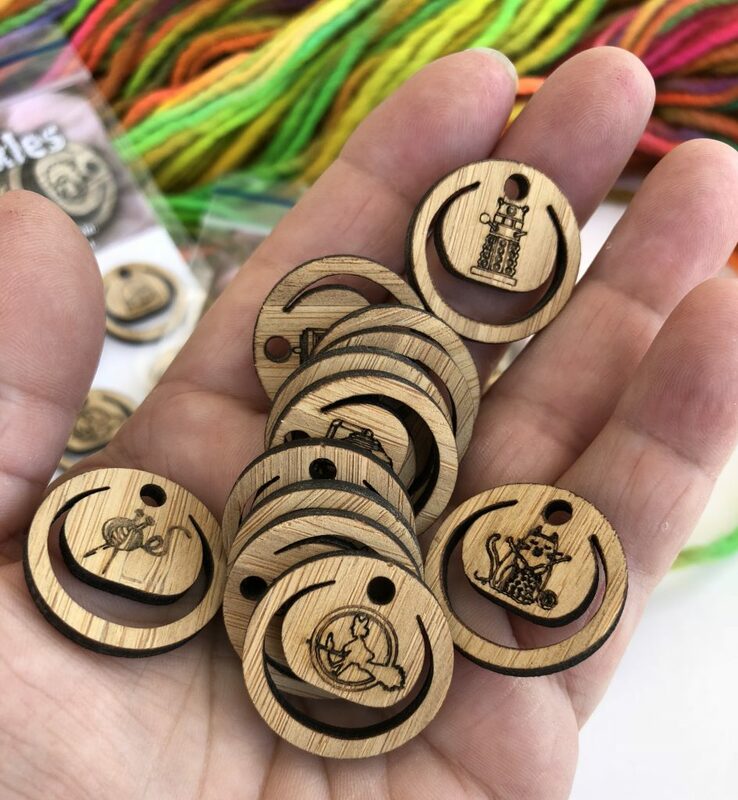 These are cute little dots, of great use to anyone who ever needs to keep a track of the end of their yarn, skein end, or keep their centre pull yarn ‘cake’ tidy and neat! 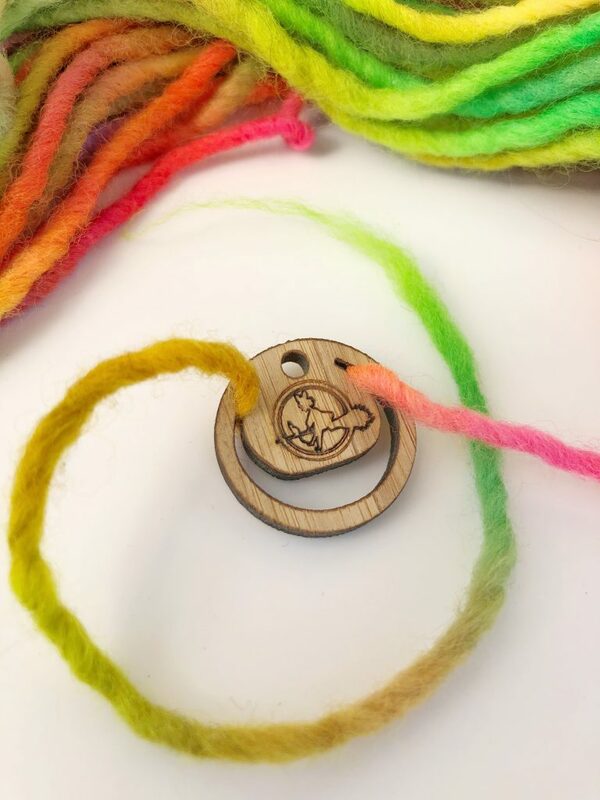 Each Yarn Buckle has its own ‘moon’ shape, into which you slide a loop of your yarn from close to the end, pull it up into the corners and you yarn buckle will hold on to it, creating an easy to find marker in the skein! 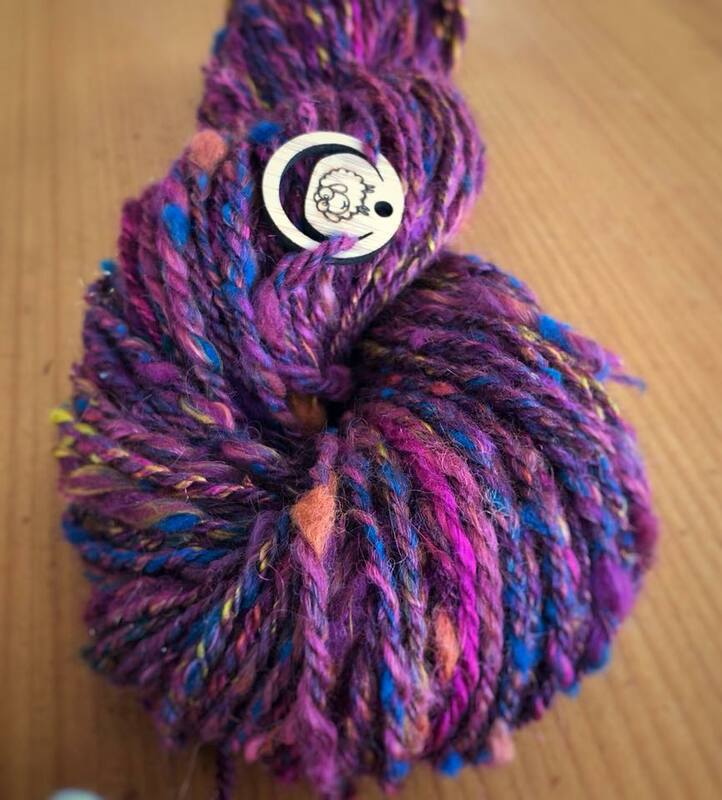 It looks like yarn jewellery 🙂 and so also creates a beautiful treat in gift skeins as well as making it easy for the recipient to find the end and start their unwinding. During the coming year we will occasionally be swapping these for new designs as the seasons change. If you have any ideas for themes you would like to see please let me know!